When you think of a hog or spit roast, you may have in mind a lavish event, like a formal wedding or corporate affair with hundreds of guests. You may think it’s really expensive and perhaps inaccessible for you and your wants and needs. However, at Taste The Cracklin, we have options for everyone and prices to suit all budgets, and we can even cater small parties if needed. You don’t need to have a huge guest list to use our catering services, and even if you only have a handful of people invited to an intimate function, we treat all of our customers the same, and that’s with delicious food served by dedicated professionals. One of our regular customers here at Taste The Cracklin recently asked us to cook a barbecue in their back garden. This may be something you are surprised about, that we cook food other than hog roasts. 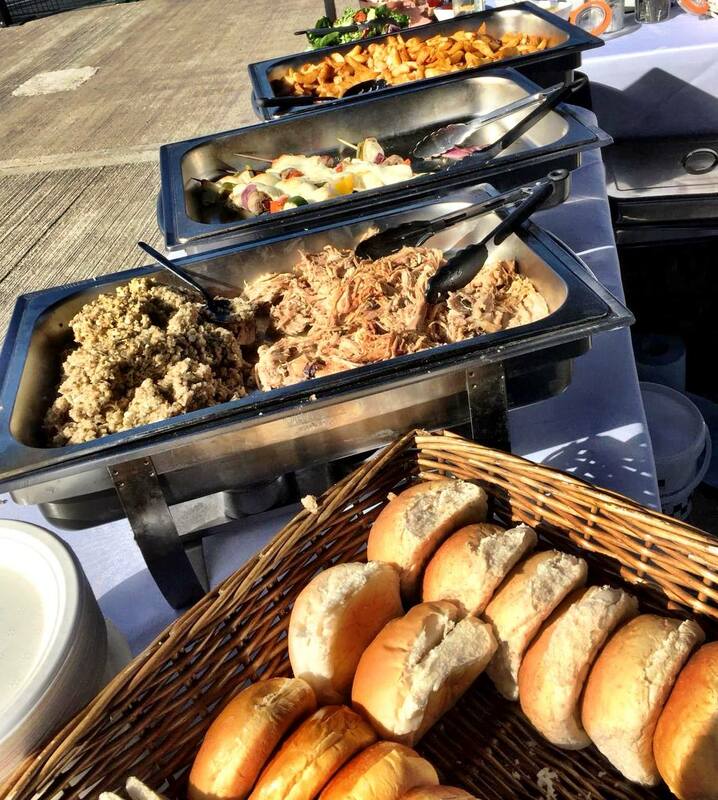 We also actually cook spit roasts and marinated meats, we can provide starters, desserts, and sides if needed and can even provide a drinks service, and if you have any guests with dietary requirements, just let us know beforehand and we’ll see to it that they are well-fed too. From vegetarians to vegans and guests with a gluten intolerance or allergy, we have all kinds of dishes to please every palate. With seven guests invited to this party, I could easily cater this by myself. Our customer asked us to cook a selection of meats, including our Taste The Cracklin gourmet sausages, handmade 6oz burgers which are 100% beef, Thai chicken kebabs and our marinated spare ribs, as well as a tomato and mozzarella salad and homemade coleslaw. To cook the meat, I would be using one of our trusty hog roast machines, which act as conventional ovens and we have attachments to use, such as for barbecues. On the day of our customer’s party, I arrived in plenty of time before I would be serving the food, set up the gazebo and serving table and cracked on with barbecuing the meat to perfection. Once the guests had all arrived, I had prepared the fresh salads, sliced the bread rolls and dished up the sauces and it was time for me to serve up some tasty fare.